The Cork University Maternity Hospital’s Annual Service of Remembrance is later this evening (Friday, 11th October 2013, 7pm). 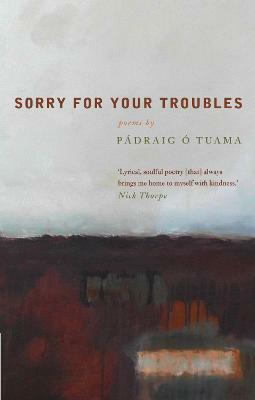 I’m reminded of this poem by Pádraig Ó Tuama from his collection Sorry for Your Troubles (thanks again, Richard, for the recommendation). Jessica Stone is the Ministry Coordinator for CMH: Ireland. you are here: Church's Ministry of Healing Ireland > Thoughts > Thoughts > And isn’t it true?